Grammy-nominated rapper 21 Savage was granted bond for release Tuesday after spending more than a week in federal immigration custody, but he wasn't freed right away, his lawyer said. Grammy-nominated rapper 21 Savage was granted bond for release Tuesday after spending more than a week in U.S. immigration custody, but he wasn't freed right away, his lawyer said. The rapper, whose given name is She'yaa Bin Abraham-Joseph, was taken into immigration custody early on Feb. 3. U.S. Immigration and Customs Enforcement (ICE) officials said the British citizen had overstayed his visa and has a felony conviction. Abraham-Joseph, 26, was granted bond too late Tuesday to be released right away, immigration lawyer Charles Kuck said by phone. He anticipates his client will be released Wednesday. In an emailed statement, lawyers Kuck, Dina LaPolt and Alex Spiro said they've been speaking with ICE since Abraham-Joseph's arrest to "clarify his actual legal standing, his eligibility for bond, and provide evidence of his extraordinary contributions to his community and society." They said they received notification in the previous 24 hours, "in the wake of the Grammy Awards at which he was scheduled to attend and perform," that he was granted an expedited hearing. The Grammy Awards ceremony was held Sunday. Abraham-Joseph was nominated for two awards at the Grammys, including record of the year for Rockstar alongside Post Malone. His second solo album, I Am I Was, released in December, debuted at No. 1 on the Billboard 200 albums chart. After his arrest, ICE said Abraham-Joseph entered the U.S. legally in July 2005, when he was 12, but has remained in the country illegally since his visa expired in July 2006. He was convicted on felony drug charges in October 2014 in Fulton County, Ga., ICE said. He was placed in deportation proceedings in federal immigration court. But Abraham-Joseph's lawyers say he came to the U.S. when he was seven and remained in the country until June 2005, when he went to visit the United Kingdom for a month. He returned on a valid visa on July 22, 2005, they said. "[He] says that while he wasn't present at the Grammy Awards, he was there in spirit and is grateful for the support from around the world and is more than ever, ready to be with his loved ones and continue making music that brings people together," they said. They went on to say their client "will not forget this ordeal or any of the other fathers, sons, family members, and faceless people, he was locked up with or that remain unjustly incarcerated across the country. And he asks for your hearts and minds to be with them." 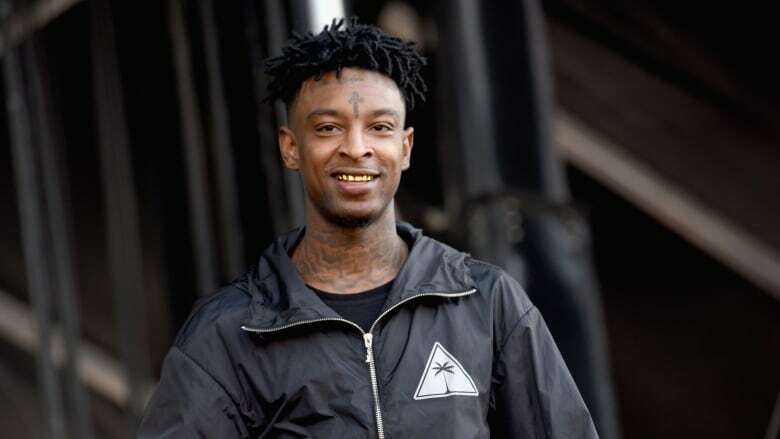 An earlier version of this Associated Press story said 21 Savage had been released from U.S. immigration custody. The rapper was granted bond for release on Tuesday, but has not yet been freed.